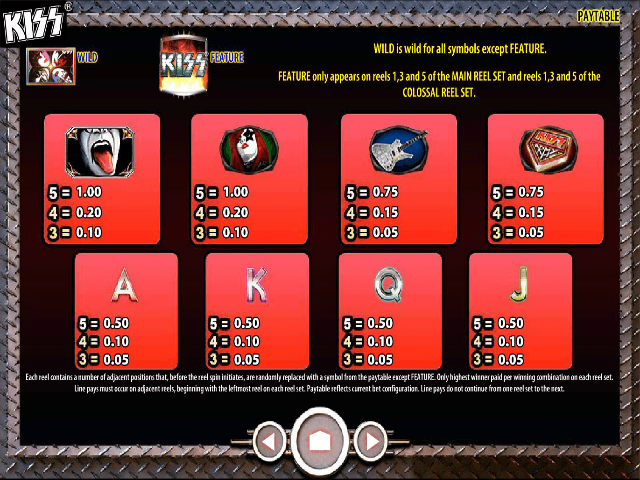 ‘I wanna spin the reels all night!’ was a smash hit single from the American rock band KISS, and Gene Simmons’ merry band of rockers are the inspiration for this heavy metal slot game from Williams Interactive. 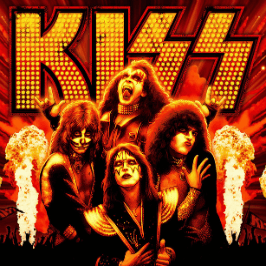 KISS: Shout It Out Loud online slot actually pre-dates the ‘NetEnt Rocks’ trilogy by a good few years, and, while this title isn’t as graphically astute as Jimi Hendrix or Guns ‘N Roses, it packs quite the punch when it comes to bonus rounds and special features. 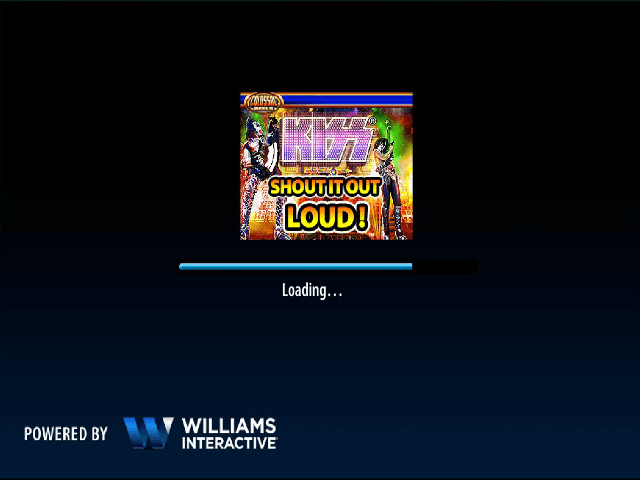 The soundtrack includes snippets of genuine recordings from the band, too, so if you're a Starchild or Spacechild fan then prepare to rock out and win some hefty cash prizes with the KISS: Shout It Out Loud slot game. 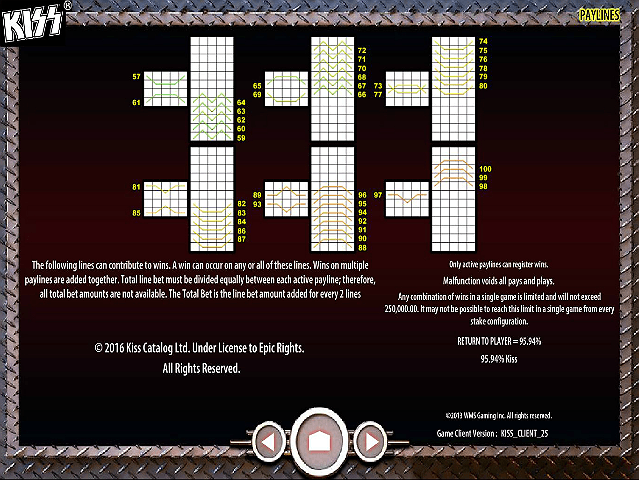 If those payouts seem on the lower end of the spectrum, be assured that greater riches await players courtesy of the special features contained within this head-banging, toe-tapping title. In addition to the basic symbols outlined above, the other two members of the band – Spacechild and Catman – appear expanded on both the main and colossal reel sets. The Spacechild pays 0.20, 0.40 and 2.00 for matching three, four and five respectively, while the Catman awards 0.25, 0.50 and 2.50 based on the same principles. The wild symbol is a picture of the four band members, which substitutes for all other symbols apart from the feature. Given that you have up to 100 paylines to work with, this can mean some outstanding winning combinations are created. 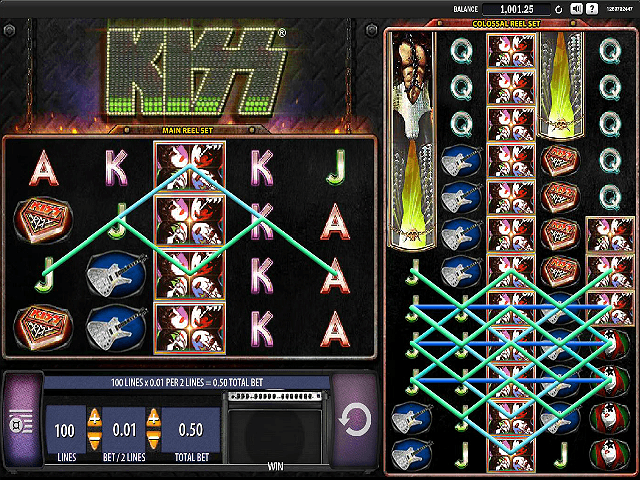 The feature symbol – the KISS logo – appears on reels one, three and five of both sets. The good news is that to trigger the free spins round you only need to reveal three scatter across your whole collection of reels. Exactly how you trigger the bonus will determine the size and extent of your goodies: three scatters delivers eight free spins and a 2x multiplier, four scatters hands out 12 free spins and a 5x maximiser, while a full hand of five scatters yields an incredible combination of 20 free spins plus a 20x multiplier. During this feature stacked wilds will appear, nudging to fill all four positions vertically on the main set. This combo then transfers over to the colossal reel set to then make the corresponding reel completely wild – and you don’t need to be told the bank-bashing potential of doing just that. If you like KISS - You'll like these slots too!